Has your cat ever climbed on your lap while you're watching TV, done some kneading on your lap, and then turned her rear end around and stuck her tail up in the air so you're staring, dangerously close, to her rear end? 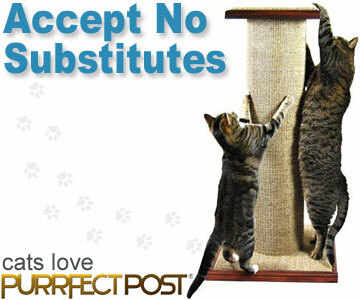 This is a typical cat behavior, and your cat does have a reason for doing it. Cats use a variety of non-verbal means to communicate with other cats and people. The way your cat is holding her ears, where and what her tail is doing, how slowly or fast she blinks at you, and whether she's kneading or purring all work together to send whatever message she's trying to give. The problem can be that humans don't always speak the same language as cats and they can miss the message. Standing with the tail up while kneading or gazing at you and blinking slowly are signs that your cat is relaxed and feels loving toward you. But why does she have to hold her tail up right in front of your face? When a cat approaches other cats in a friendly way, he often holds his tail straight up, and the other cats come along and rub up against him. They might also sniff the first cat's rear end, where scent glands reveal lots of interesting information to the other cats. So a cat that lifts her tail and shows her rear end to you is probably asking for you to rub on her. It's her way of sharing scents with you, asking for you to pet her, and generally communicating that she sees you as part of her group. Having a cat climb on your lap and turn her rear end around toward you, tail up, is a sign that she loves and trusts you. Isn't that nice? Some cats really love having their rumps scratched, and they will push their rear end up further when you do so. However, this can also be a sensitive spot that some cats dislike having touched. Take cues from your cat on whether she wants to be scratched at the base of her tail. If not, respect that wish even if she comes and presents her rear end to you. Go for her head or another spot she prefers being touched instead.